It’s the dream of every marketeer: shutterstock’s database full of pictures. To buy the pictures, you need to create a profile. 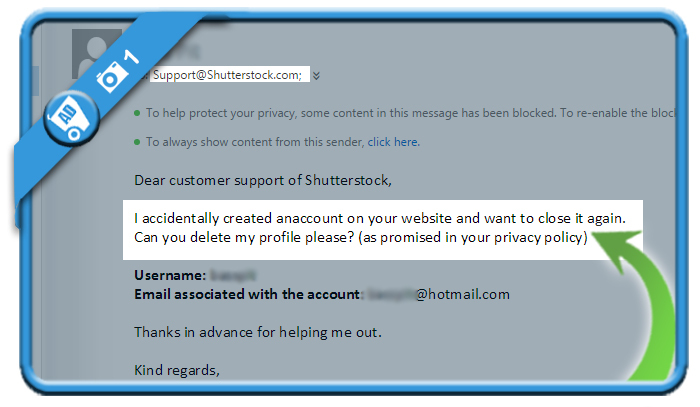 But when you don’t need thier pictures anymore, you might of course be considering to remove your account. 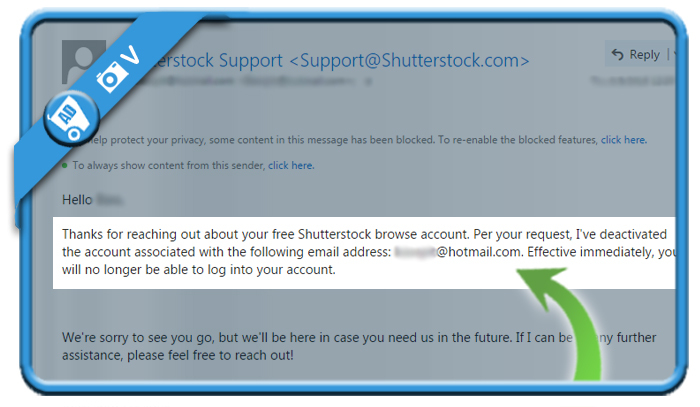 In that case: I can tell you that all it takes, is 1 email to their Support email addres. All you need to do is ask them to close your account and send them your username & email address. I created an account on your website and want to close it again. In my case, I received an answer from the customer support 3 hours later, confirming me that my account had been deactivated and I would no longer be able to log in. I am really grateful for this. Thank you for this information! It was very helpful! I do have feedback, if you’ll take it: this post/site would carry more credibility if there weren’t so many spelling and grammar mistakes. Especially since it identifies the target audience as marketeers, who are more likely to catch those things in general.